Woot! 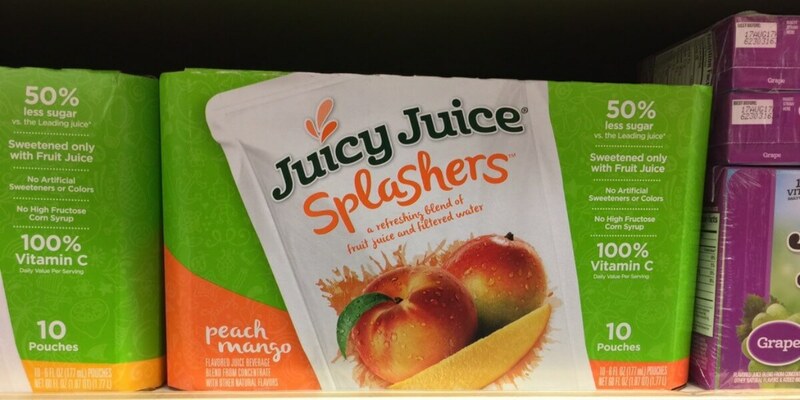 Juice Pouches for just $0.59 5/7 Through 5/9 only, Harris Teeter has Juicy Juice Splashers 10pk Juice Pouches on sale for $2.59 each. We also have a $1.00/1 Carton of Juicy Juice Splashers, exp varies coupon available that will double during this event making these just $0.59 a box!